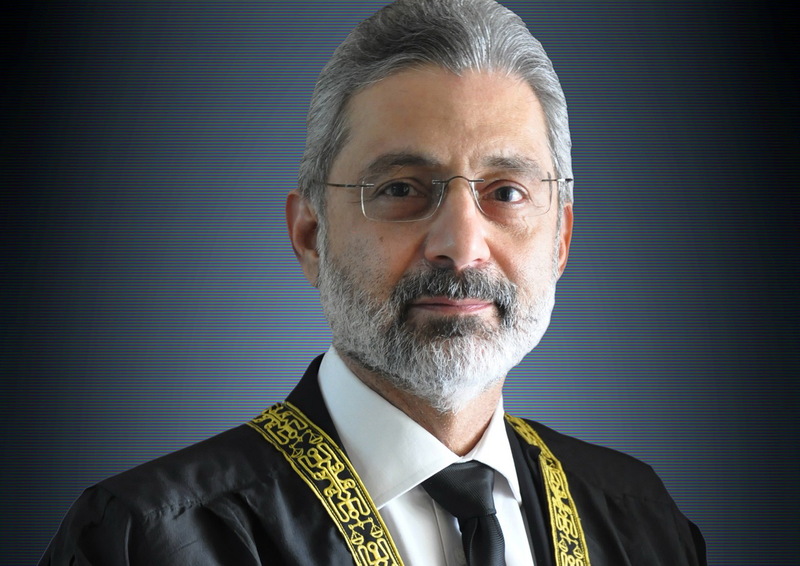 Home Featured News / Latest Updates SC dismisses petition against Justice Qazi Faez's appointment. ISLAMABAD: The Supreme Court dismissed on Thursday a petition filed against the appointment of Justice Qazi Faez Isa as Balochistan High Court chief justice. Hearing the case, a three-member bench headed by Chief Justice of Pakistan Justice Saqib Nisar was informed by the petitioner that Justice Isa's appointment as the BHC chief justice was against Articles 105 and 196 of the Constitution. Moreover, the petitioner pleaded that the August 5, 2009 notification of Justice Isa's appointment should be struck down. The chief justice observed that when the whole high court was dismissed by the military government, the situation would not fall under Article 196. The chief justice asked the petitioner how he could say that Justice Isa was not appointed by the acting governor on the advice of the chief minister. "What proof do you have?" he asked, to which the petitioner referred to his own affidavit on the matter. During the hearing, the chief justice remarked that all things became irrelevant once the judge was appointed to the Supreme Court, adding that before the petitioner’s request in 2016, Justice Isa had been made a Supreme Court judge. When Justice Ijazul Ahsan inquired about the qualification of a judge, the petitioner responded that a five-year experience as a high court judge is necessary. The hearing was briefly adjourned after the Pakistan Bar Council’s (PBC) request to become a party in the case was accepted. PBC's counsel Ali Zafar, in his arguments, said that the apex court should indulge in self-accountability, adding that Justice Isa's appointment is not according to the set rules. He also argued that the matter deserves to be heard under Article 184 of the Constitution. Later, announcing its decision, the apex court ruled to dismiss the petition. The court also observed that it would give details of its reasons later.